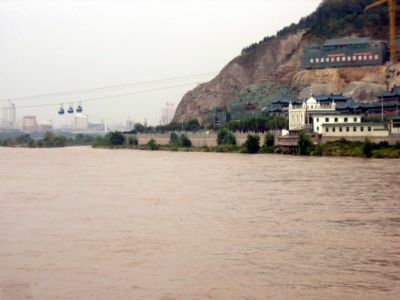 The Yellow River (Huáng Hé 黄河) is the second longest river in China (after Yangtze River) and the sixth longest in the world. The river is 5464 km long and it drains at the Bohai Sea, a gulf of the Yellow Sea. 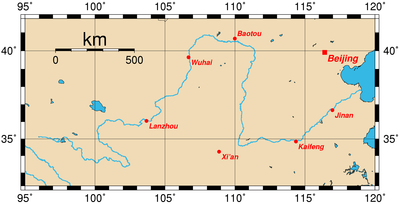 The river is often called the "Mother River of China" and "the Cradle of the Chinese civilization" in China. In Chinese mythology, the river is home to the deity Hebo. Wikimedia Commons has media related to Huang He. Illustrations of Guarding the Yellow River is an old book that shows how China protected the cities around the River from flooding. This page was last changed on 8 February 2018, at 08:52.